How can I follow the games on UEFA.com? UEFA.com will have reporters on the ground at both of Saturday's Group C fixtures, with live analysis, photos, minute-by-minute commentary and reaction in the build-up, during the game and after full time. There will also be extensive coverage on Twitter (@UEFAUnder21) and Facebook (@under21). Two heavyweight names of European football meet in Krakow where Germany are best placed to progress. How do the teams stand in Group C? Germany lead the group with six points and are guaranteed top spot if they draw with Italy; if they lose, they will be assured of second place only if the Czech Republic do not beat Denmark. Italy have three points and will be assured of first place if they beat Germany and the Czechs do not win. Italy and Germany have featured in the U21 final on 11 occasions between them – Italy winning five titles to their opponents' one – but they have met just once before in the competition: the 2009 semi-final won 1-0 by Germany. Italy: Donnarumma; Conti, Rugani, Caldara, Barreca; Pellegrini, Gagliardini, Benassi (Grassi 73); Berardi (Chiesa 67), Petagna (Cerri 88), Bernadeschi). Germany: Pollersbeck; Toljan, Stark, Kempf, Gerhardt; Dahoud (Jung 66), Arnold (Haberer 86); Weiser (Philipp 76), Meyer, Gnabry; Selke. Luigi Di Biagio, Italy coach: "I have seen a desire to bounce back in the eyes of the lads, so the objective is to put in a great performance and try to win the game. We cannot afford to let our minds drift beyond this match to other things like how many goals we have to score. Germany are a great side, but so are we. We have to prove it with more strength, both physical and mental." Stefan Kuntz, Germany coach: "I can only reference my Italian colleague [Di Biagio]. He said that he has taken the best ever Italian team to a Under-21 EURO, with more than 1000 Serie A appearances between them. That statement is enough in itself; Italy are the favourites." The full list of broadcast partners is available here. 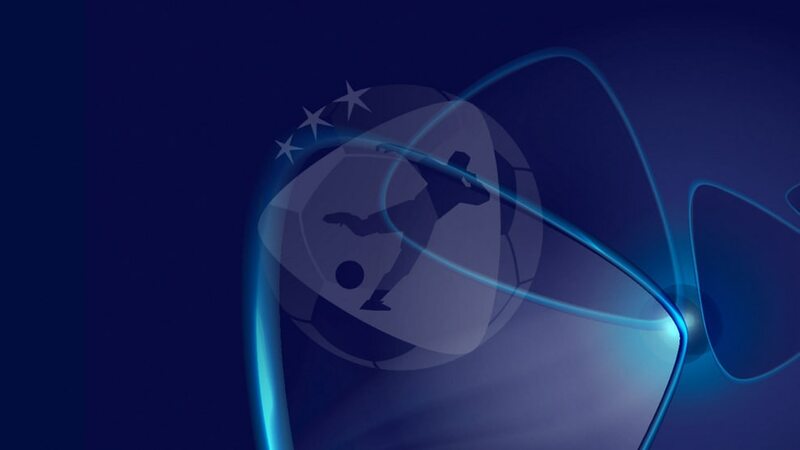 Games will also be streamed live on UEFA.com and UEFA.tv in some territories. The Czech Republic complete a hat-trick of group stage games in Tychy while Denmark make the hour-long drive from Krakow for the first time. The Czechs have three points; they need to beat Denmark – and for Italy to defeat Germany – to have a chance of topping the section; if they win and Italy don't, the Czechs would secure second place. The Czechs recorded two victories against Denmark in qualifying for the 2002 finals, which they went on to win, but as hosts, lost the opening match of the 2015 finals to their Scandinavian rivals. Czech Republic: Zima; Sáček (Chorý 81), Lüftner, Simič, Havel; Souček; Černý (Hašek 72), Trávník, Ševčík (Barák 56), Jankto; Schick. Denmark: Højbjerg; Holst, Banggaard, Maxsø, Rasmussen; Hjulsager, Nørgaard, L Christensen, Børsting (Duelund 79); Andersen (Hansen 80), Ingvartsen (Zohore 72). Czech Republic: Zima; Havel, Lüftner, Simič, Holzer; Trávník, Hubínek (Chorý 77), Souček; Hašek (Havlík 66), Schick (Sáček 83), Jankto. Vítězslav Lavička, Czech Republic coach: "I believe in all my players and not only their attacking game. We're all ready to do everything to fight for qualification. We can't go forward in numbers and offer them chances to counterattack as any goal we concede would complicate things for us." Niels Frederiksen, Denmark coach: "I'll make some changes compared to the first two matches. We'll play seven or eight players who've been in the starting XI [so far]. Motivation is not hard at all because all the players would like to end this tournament in a good way. We'd really like to make a good last impression."